Yahoo's lead baseball columnist offers an in-depth look at the most valuable commodity in sports--the pitching arm--and how its vulnerability to injury is hurting players and the game, from Little League to the majors. Every year, Major League Baseball spends more than $1.5 billion on pitchers--five times more than the salary of every NFL quarterback combined. Pitchers are the game's lifeblood. Their import is exceeded only by their fragility. One tiny band of tissue in the elbow, the ulnar collateral ligament, is snapping at unprecedented rates, leaving current big league players vulnerable and the coming generation of baseball-playing children dreading the three scariest words in the sport: Tommy John surgery. 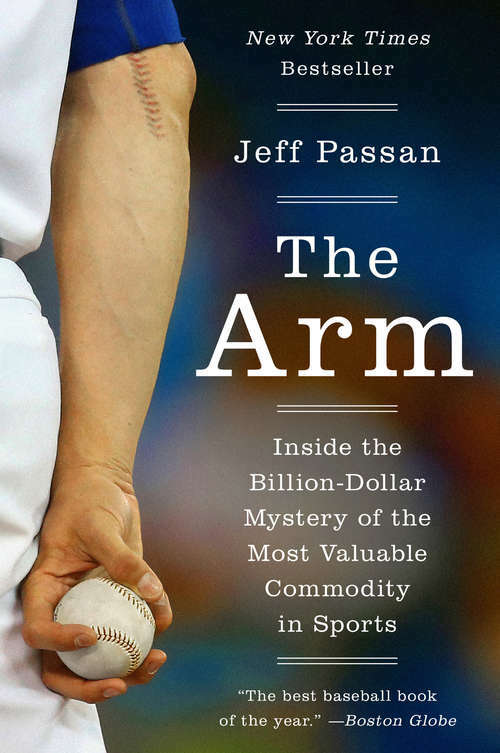 Jeff Passan traveled the world for three years to explore in-depth the past, present, and future of the arm, and how its evolution left baseball struggling to wrangle its Tommy John surgery epidemic. He examined what compelled the Chicago Cubs to spend $155 million on one arm. He snagged a rare interview with Sandy Koufax, whose career was cut short by injury at thirty, and visited Japan to understand how another baseball-mad country treats its prized arms. And he followed two major league pitchers, Daniel Hudson and Todd Coffey, throughout their returns from Tommy John surgery. He exposes how the baseball establishment long ignored the rise in arm injuries and reveals how misplaced incentives across the sport stifle potential changes.Injuries to the UCL start as early as Little League. Without a drastic cultural shift, baseball will continue to lose hundreds of millions of dollars annually to damaged pitchers, and another generation of children will suffer the same problems that vex current players. Informative and hard-hitting, The Arm is essential reading for everyone who loves the game, wants to keep their children healthy, or relishes a look into how a large, complex institution can fail so spectacularly.